Chains are an important component in the food production process and are often used in the transportation and packaging of food products, for example. A suitable surface coating and approved lubrication of the food products ensure compliance with applicable hygiene regulations. Chains have diverse applications in the wood industry due to their high durability under the harshest of conditions. As an example, wooden planks (timber) are transported with the help of special toothed plates on roller and bush chains. 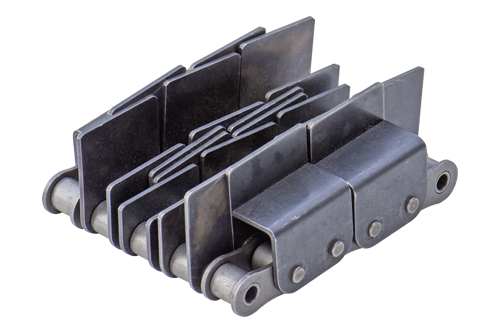 All manner of conveyor chains can also be used to handle wooden products. Packaging machines require special solutions that only chains can provide. 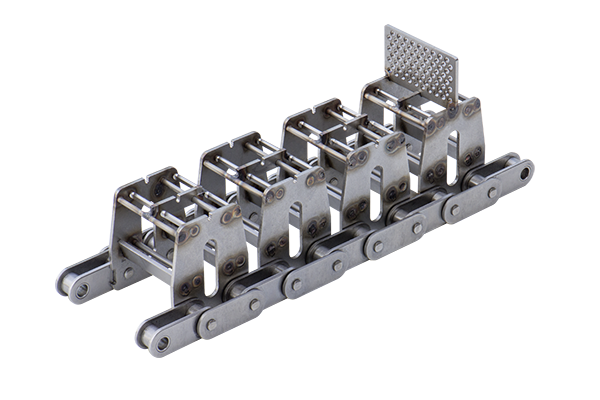 Folding box, transport or rocker chains are used and tailored precisely to the respective application. Graphical machines and paper processing machines also fall under this category. Chains meet the stringent requirements of the automotive industry without any problems. 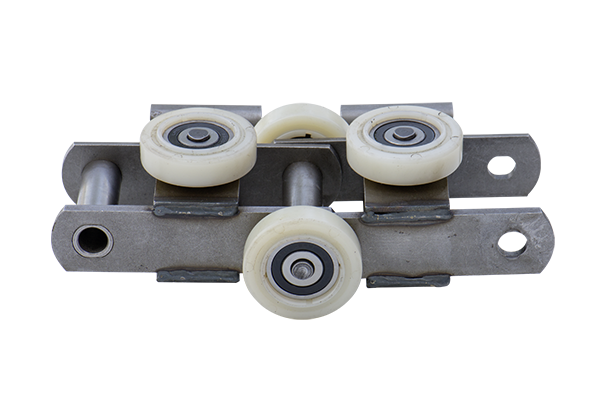 They are used as overhead or floor conveyors in the assembly of cars. Chains are also used as secondary drives for conveyor systems. Chains are used as conveyors in the bulk goods industry. 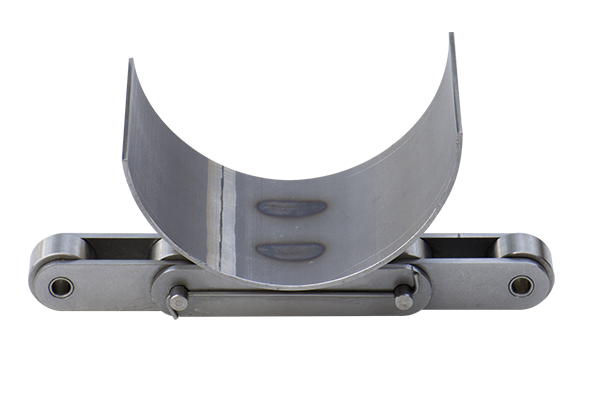 Bucket elevators, trough conveyors and drag chains are a few examples of how chains are used in this industry. Special materials are also used here, e.g. temperature-resistant, corrosion-resistant or wear-resistant materials. Special chains are commonly used for moving loads. Some examples are flyer chains, combined roller/flyer chains, forged link chains and the corresponding fittings. The problem of conveying products is often solved with the help of special chains. Continual and precise conveyance can be achieved with the use of special chains. 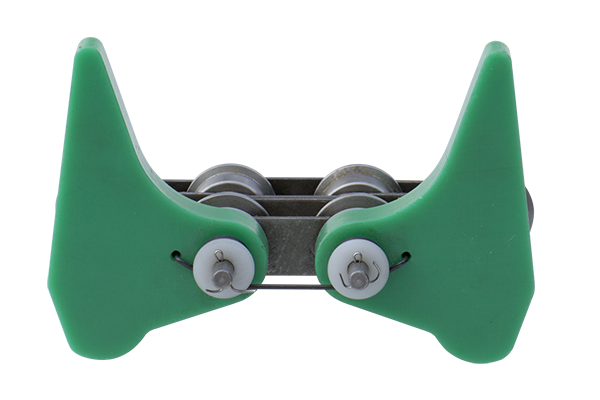 The use of special attachments on chains, e.g clamps, bent/straight lug link plates, blades, etc. can be adapted to the respective conveyor task. Special materials are often used here. The main use of special chains is for handling products. Parcels or goods are conveyed, held, shaken or sorted by means of chains and mounted carriers, e.g. in the beverage industry. Chains are matched to the relevant use in terms of their dimensions, material and wear behaviour. Our company was founded in 1968 and we have been specialising in manufacturing all kinds of special chains ever since. Quality and supplier reliability are our top priorities in our company philosophy. We have developed excellent consultancy skills in order to offer our customers the very best benefits. This extensive experience allows us to present the customer with outstanding solutions and an ideal price/performance ratio. Our experience also guarantees that everything will run smoothly. Here you can print out a request form for the product that meets your requirements. Please enter all the relevant dimensions on the printout and then fax your enquiry/order to us. All types of special chains are possible, from the smallest quantities to the most complicated designs. But not everything makes commercial sense! This is where we come in, offering our customers advice based on our expertise. That is our philosophy here at Kettentechnik Roeder. 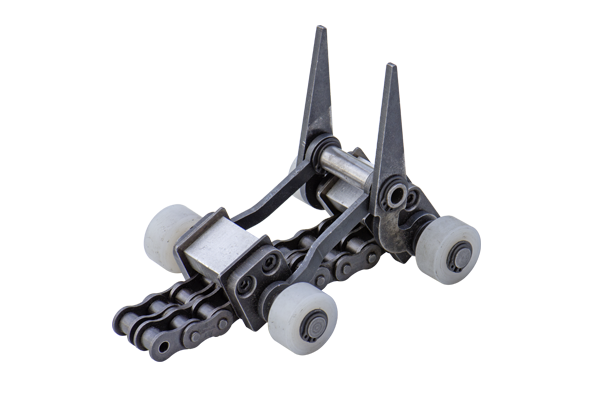 Our range of products includes all types of roller and bush chains. 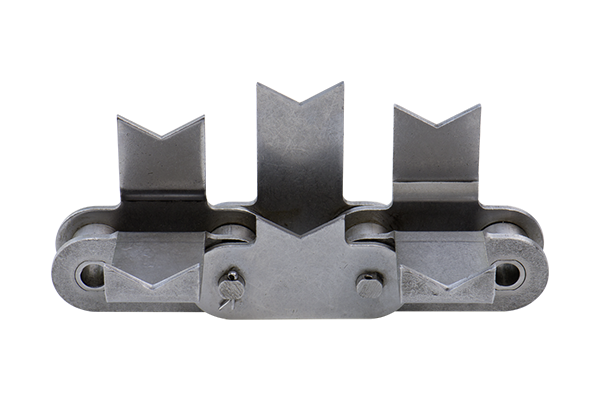 Chains in accordance with the standards DIN 8187 and 8188 as well as all commercially available chains serve as our basic chains, to which we add the extra parts requested by the customer. We also manufacture chains with special pitches and materials. Our chains are mainly used in the packaging and food industries. Our manufacturing team is equipped to cater for minimal to medium-sized order quantities.